Energy, Intention, and Knowledge combine to provide you with a unique therapeutic massage and fitness experience in a private, safe, and comfortable environment. Our highly skilled massage therapists and personal trainers are always honing their skills and are educated in the latest techniques and sciences to help you achieve your goals. Certified Personal Trainer, Post Rehabilitation and Nutrition Specialist - The most important thing you can do for yourself is take control of your health through the choices you make every day. Even though I am over 50, by following my own recommendations, I am able to maintain the same energy and fitness levels as when I was half my age! My goal as your trainer is to educate and empower you to achieve better overall health and wellness through the fitness and nutrition education I offer. Most recently I spent 4 years performing Hydrostatic Body Fat, VO2 Sub-Max and Resting Metabolic Tests at Fitness Wave in Southern California in addition to providing my training and nutrition services. Over the course of that time I consulted with numerous athletes, as well as the occasional exerciser, on their nutritional needs for sports performance, body fat loss, muscle gain, and general health and wellbeing. Prior to starting my personal training career, I performed in many parts of the world as a professional dancer. I settled in Las Vegas in 1988 and worked in a variety of shows including, "Jubilee" at Bally's, "Winds of the Gods" at Luxor, and "La Cage" at the Riviera. My background also includes numerous convention, industrial, and trade show events, television commercials, print ads, and voice overs. While working as a dancer on cruise ships for Princess Cruise Lines, I learned first hand that the development of core strength and stability is the foundation that all other strength is to be built upon. 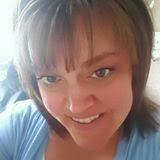 A massage therapist since 2008 and a background in dentistry, her skills are diversified in the therapy setting. The knowledge of the connective tissue via myofascial studies and Massage cupping increases her ability to assist the client in overcoming restricted and painful movement. Kristie loves teaching people how to workout safely and effectively. She teaches everything from aerobic style workouts, strength, post rehab, and yoga. 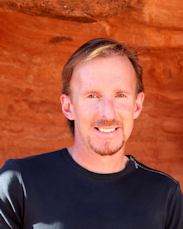 Dr. Howard is an avid rock climber and runner. His skills as a chiropractor and personal trainer are invaluable in helping you increase strength, recover from muscle or skeletal imbalances, and safely and effectively reach your goals. Nikki is passionate about healing through alternative methods. Certified Foot Zoner since 2015. Reflexology practitioner since 2001. Growing up sick and in the hospital often, she learned the value of health and well-being extremely early in life. She has devoted and continues to devote her life to learning all that she can about healing modalities; namely, herbs, essential oils, energy work and foot zoning. One of her greatest passions is to help others heal themselves. She rejuvenates herself in life by spending time reading and studying, hiking, gardening, teaching, laughing, and playing with her family and friends. Foot zone therapy is an ancient healing method that recognizes your body is intelligent and uses a holistic approach to healing. A foot zone will balance your entire body (physically, mentally, emotionally, & spiritually) through direct pressure on signals (located in zones) on the bottom of your feet. These signals correspond with individual parts of your body and, when stimulated, help improve blood circulation, lymph flow, digestion, hormone balance, elimination, - including many other functions that restore, repair, and regenerate our bodies. Though every �body� responds differently, some common effects are: relaxation, increased energy, improvement in circulation, deep sleep, release of pain, etc. As this method works at the core issues of the body, it is able to heal at a core level as well. Enjoy improved health and vitality today!!! A foot zone normally lasts 45 - 60 minutes. Suggested 5 sessions within a 2 month period. For more serious conditions the practitioner will develop a plan for you. 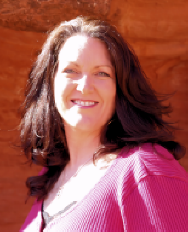 Mindy is driven by a deep desire to improve life for her clients on a deeply intuitive level. 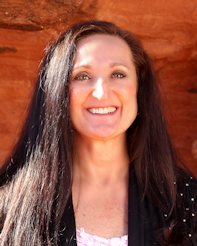 She has been a massage therapist since 2010 and has added a variety of tools like Massage Cupping, Shiatsu, Acutherapy, Reflexology, Thai Yoga massage, Sports therapy, and Energy work to her therapy. 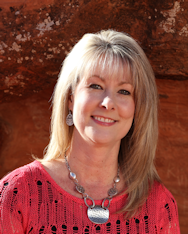 With her skills as a Life Coach she has added Dream therapy, Gestalt therapy, and Crystal therapy. Mindy's love of stones is very apparent in her jewelry making and teaching of Crystal/Stone classes. She very knowledgeable about mother earth�s precious gifts and what they can do for us. Life Coaching - Coaching involves simple direct conversations that can make a big difference. Simple does not mean simplistic. In coaching you talk about what really matters. It�s tools that can transform your life. We work together to clarify what matters most and develop actionable plans to advance your goals. You can live well in the present as you also reach toward the �more� of your dreams. We build on your strengths to sort out challenges, navigate transitions, and overcome obstacles in your path. If you are ready, I am here. Sports Shiatsu Stretch - Mindy combines stretches from Shiatsu sport & Thai that will help you stand taller, improve range of motion and flexibility for a maintainable happier you. We carry the weight of life in our limbs, joints, muscles and structure. Gravity, repetitive motion and stress manifest in sore, tired, stiff, discomforted bodies. Passive assisted stretching allows the muscles to release, restore, and renew. Especially helpful for hips, limbs, shoulders and neck. Please wear clothes that move and stretch easily. Reiki Energy Therapy - Chi, Qi, or Life force energy accompanies the body. Reiki is an intuitively guided, non-invasive energy modality. Energy work helps us disconnect from stress, people, and stress we've "put away for later" or stored in our tissues. Reiki assists us by cutting cords, reconnecting pathways and resetting or opening chakra centers. 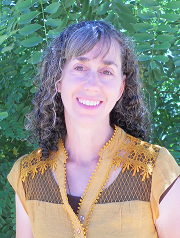 Mindy is a certified Reiki Master Teacher and has been assisting energy since 2008.